Comfort Court Shoes E Fit is rated 4.2 out of 5 by 42. Imagine a court shoe with the comfort of a trainer. We did and made it! 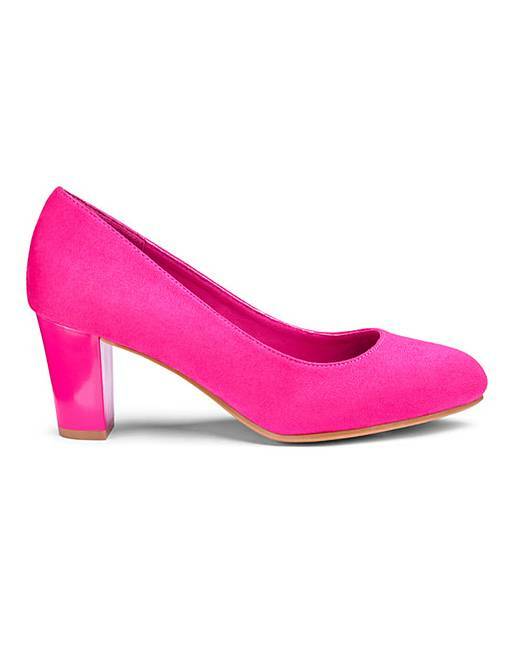 These comfort court shoes have soft padded textile linings and insole for all round foot comfort. Under the insole is an additional layer of cushioning. All finished off on a flexible sole. 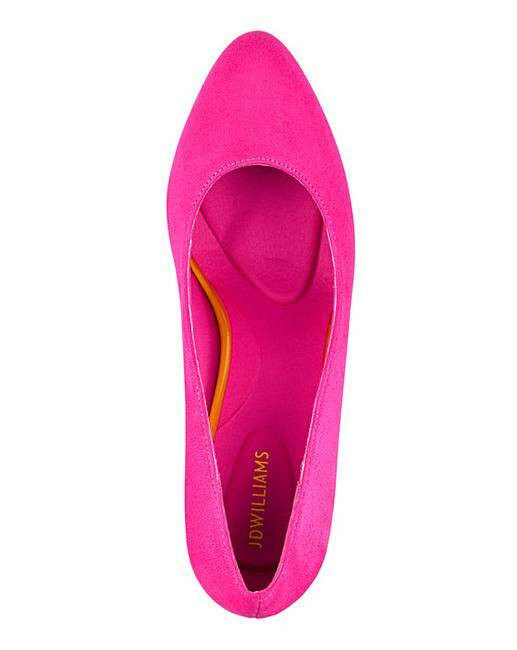 Rated 5 out of 5 by Sanjay from Fabulous and very comfy Love these shoes, I would buy them in every colour. 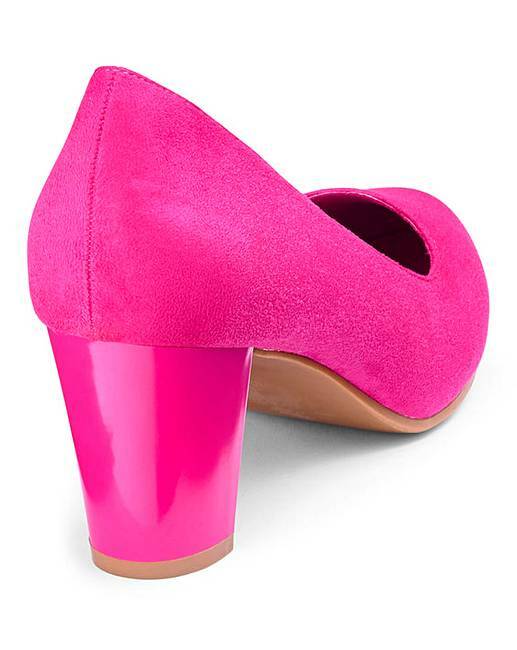 Not too high, glossy block heel. Insole is very cushioned. I originally ordered the EEE fit, but they were a bit loose on me so I re-ordered the E fit and they're great. Love them. 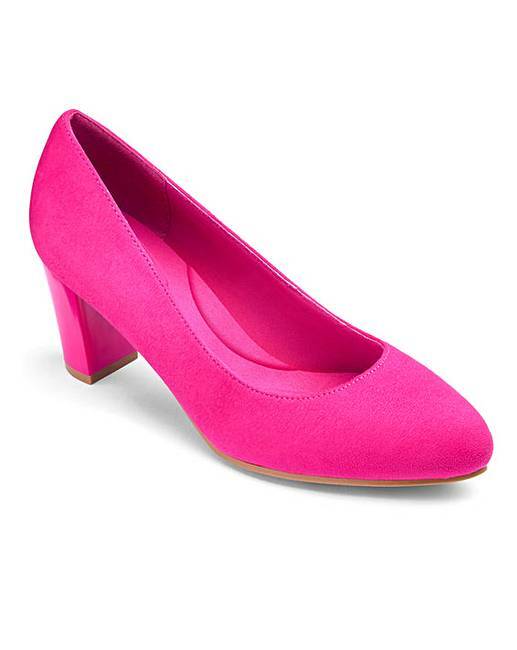 Rated 4 out of 5 by Fifth Column from Fuchsia pink shoes - just what I wanted These are absolutely gorgeous. Bit disappointed the heel is shiny stuff and not covered in the fabric but that's a small price to pay - they will dress down or up and hopefully not get the toes worn through - remains to be seen. Comfortable fit for a six so can't wait for the real Spring and summer clothes - they'll do jeans as well as frocks!! Rated 5 out of 5 by Andy pandy from Comfort to a t Read all the reviews and felt they was very mixed , but having received these 6 weeks ago I am in no doubt they are one of the most comfortable pair of shoes I have ever bought and the colour is gorgeous. Rated 5 out of 5 by Lyn from Super fit Bought these shoes for work and they are so comfortable.